Evolution Year End Results 2017 - Another great year for Live Casino . 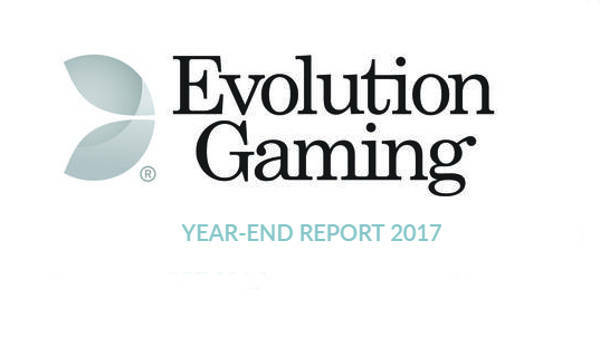 Evolution Gaming has posted another set of very healthy year end results for 2017. I’m beginning to regret not buying shares a few years ago as year on year earnings are up by 45.2%. I am happy to summarise 2017 with continued strong growth and profitability. Revenues amounted to EUR 50.7 million, corresponding to an increase of 48 percent compared with the fourth quarter of 2016. EBITDA amounted to EUR 22.6 million, with a margin of 44.6 percent. The quarter was characterised by intense expansion at our studios, resulting in increased cost levels compared with the third quarter. The company is in the midst of an investment phase, and we expect this to continue to drive costs during the first half of 2018. Looking at the margin, it will vary somewhat from quarter to quarter, although we have, at the same time, established a clearly higher level of profitability compared with Evolution’s historical average – for the full-year, the EBITDA margin was just above 45 percent. In addition to the intense expansion at our existing studios, where we now have approximately 400 tables in operation, we increased our efforts further in product innovation and development in the latter part of the year. We will see the results of this in 2018, when more games than ever before will be launched. The new games are an important element to further increase the gap to our competitors, and will be launched at different times of the year. 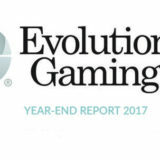 Already in January, we rolled out the world’s first and only Live Casino version of the popular poker game Texas Hold’em Bonus and, in early February, we expanded our exclusive content rights partnership with Scientific Games. 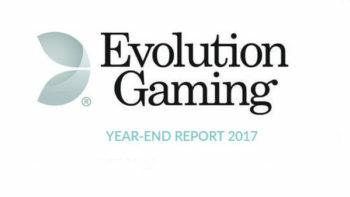 During the year’s largest industry event, ICE, held in London a week ago, we presented additional new products that will strengthen our customers’ Live Casino offerings over the coming year. I would especially like to highlight Lightning Roulette, a ground-breaking Roulette game that combines Live Casino with an RNG element. 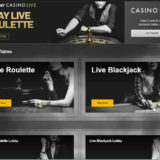 In addition to all the classic Roulette features, players will have new possibilities to win through random-generated lucky numbers offering high pay-outs. The game environment is reminiscent of an entertainment show with advanced sound and lighting effects; a concept that adds a new dimension of excitement to the traditional table game and which we have already successfully established through our Dream Catcher product. 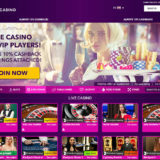 We also believe that our extensive expertise in table games can be used in a purer RNG environment, which is why we are taking a first step in that direction through the launch of a brand-new game category – First Person Gaming. 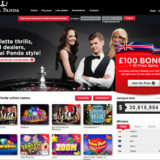 The products offer players an interactive first-person experience of the most popular table games, and also include a “Go Live” button that quickly takes the player to our Live Lobby and the complete range of Live Casino games. This set-up gives the operators excellent cross-selling opportunities. For our operators’ super VIP players, we are launching a brand new, exclusive Salon Privé, with high limits and private tables for individual players. Only selected individuals are given access to the environment, where they can expect personal service and opportunities to control the game round themselves. Finally, we are strengthening our Baccarat portfolio with two new variants, No Commission Baccarat and Dragon Tiger. Baccarat is gaining popularity and, with these additions, we will attract both experienced and new players. In addition to product development, we are continuing to invest for the future in the form of new studios. In early February, we went live with our new studio in Canada, while the construction of the studio in Georgia is continuing, with a planned launch in the second quarter. Looking back on 2017, it is easy to say that it was an exceptional year in many ways. But that does not give us reason to take anything for granted – on the contrary, we must continue to work hard every day to maintain our position in the market. On the whole, with new studios and exciting product launches on the cards, we see good prospects to continue strengthening our business in 2018, with a clear focus on profitable growth.